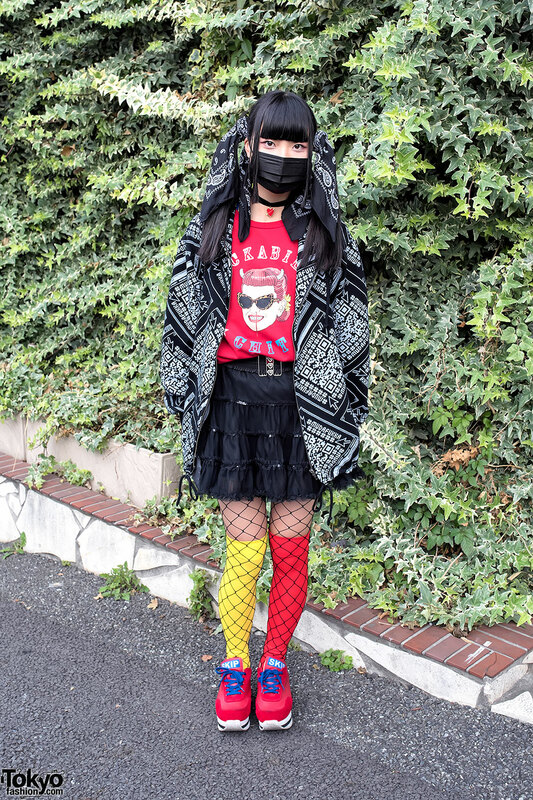 Harajuku girl in a mask with bandana-wrapped twintails, a QissQill QR Code jacket, knee socks, and platform sneakers. 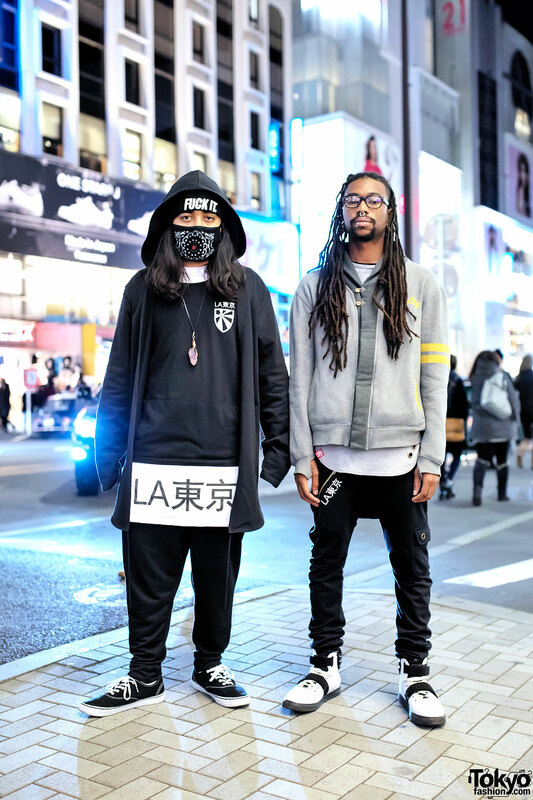 Leo and Eddie from the Los Angeles streetwear brand LATokyo on the street in Harajuku wearing their own fashion with items from In4mation and Android Homme. 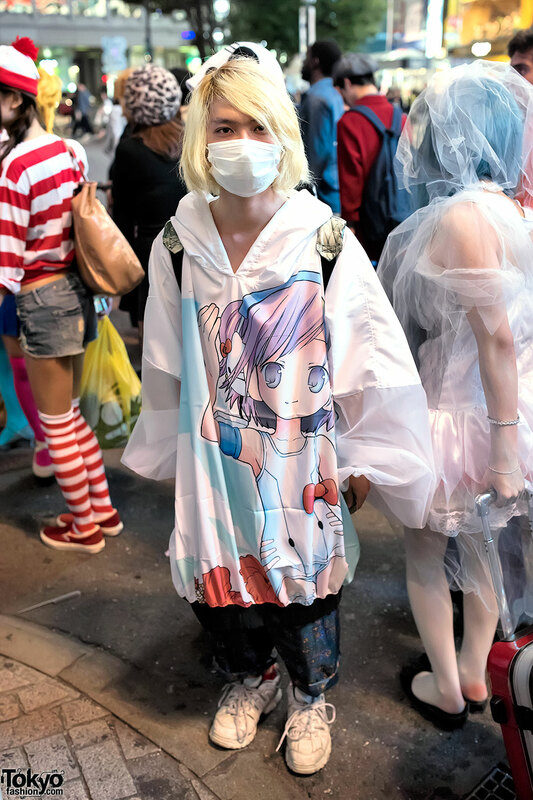 Blonde guy on the street in Shibuya wearing a long hoodie with anime/manga artwork and a backpack decorated with a Yo-Kai Watch Jibanyan plush. 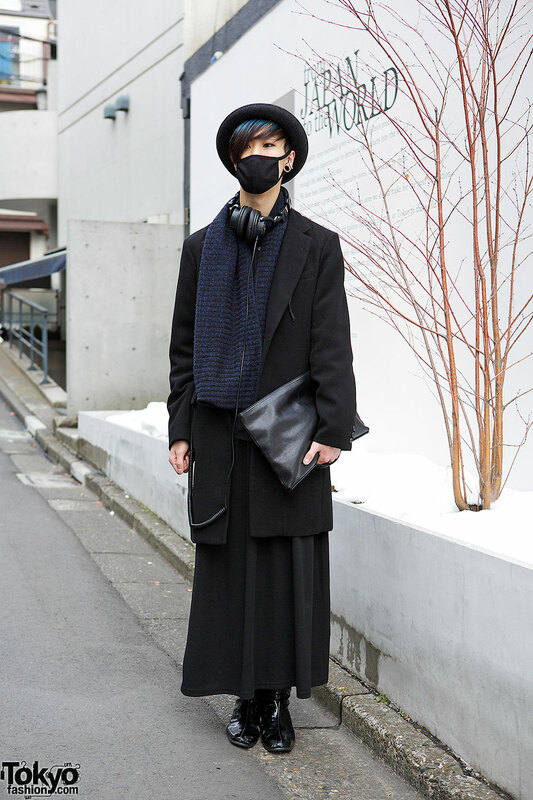 Tattooed Harajuku guy in all black wearing a hat, sweatshirt, sweatpants and sneakers – plus facial piercings, chain necklace and cross ring. 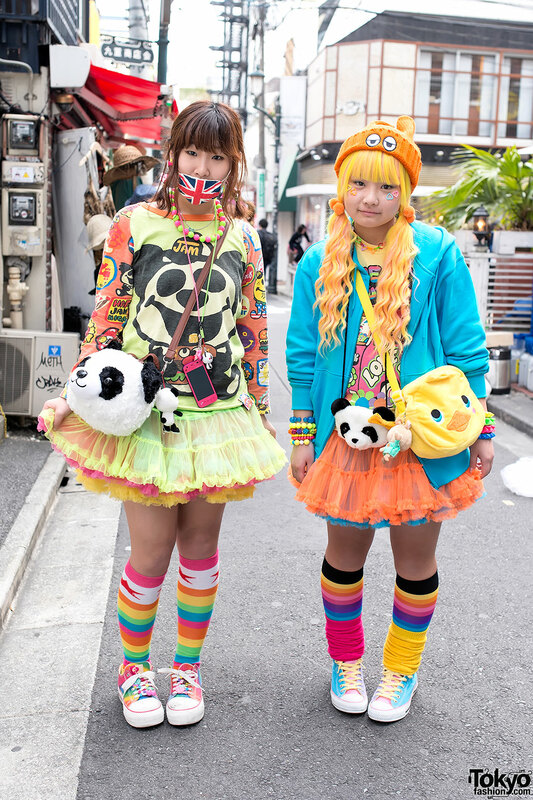 Harajuku with lace top and suspender skirt, choker and spike necklace, retro backpack, over the knee socks and lace-up buckle boots. 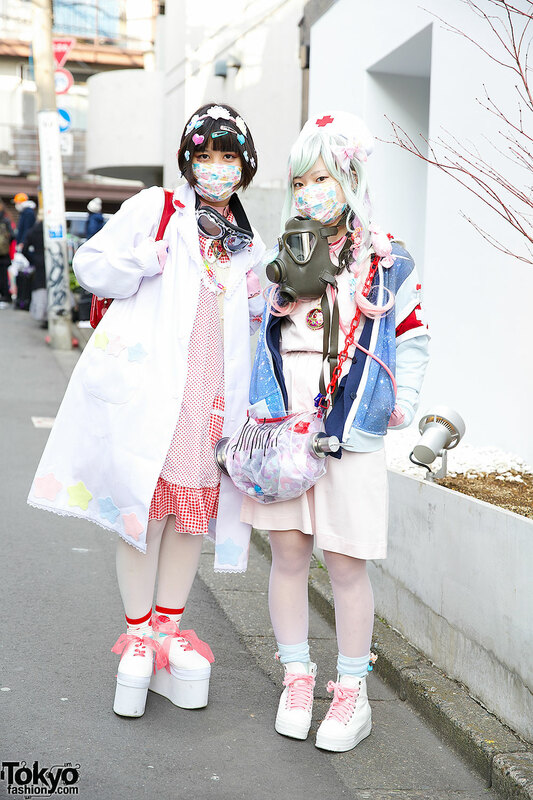 Harajuku girls with pastel braided hair, pastel dress, bomber jacket, red cross hat, syringe bag, gas mask and sneakers vs. bob hairstyle with hair pins, dress and white coat, goggles, retro backpack and flatforms. 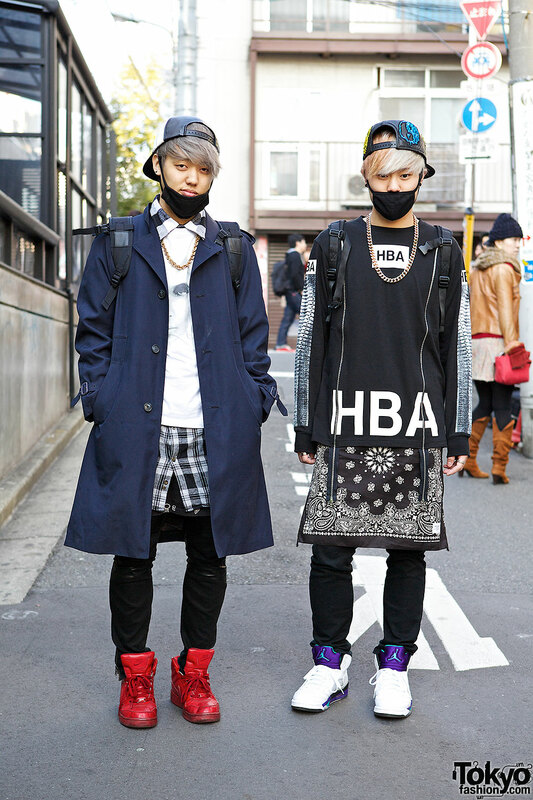 Two blonde Harajuku guys with caps, skinny jeans, sneakers, backpacks, layering and oversized tops.